What is summer without campfires? What are campfires without roasting marshmallows? 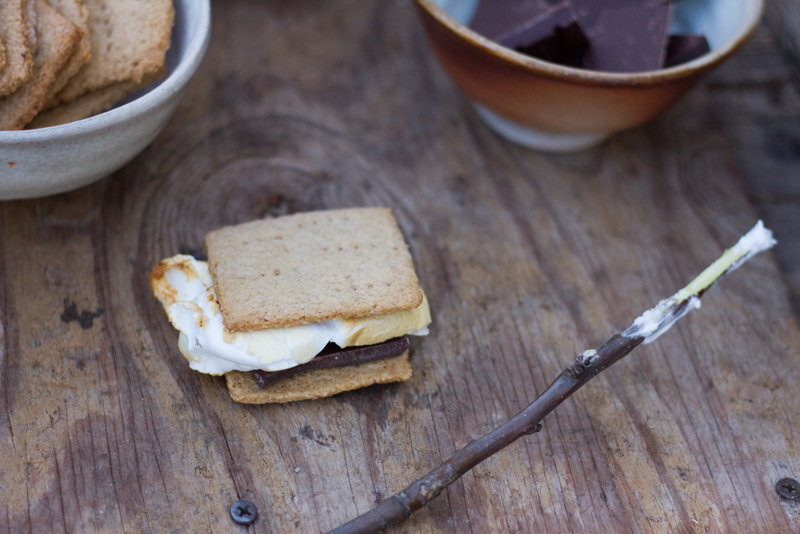 What are roasted marshmallows without graham crackers and melted chocolate?! 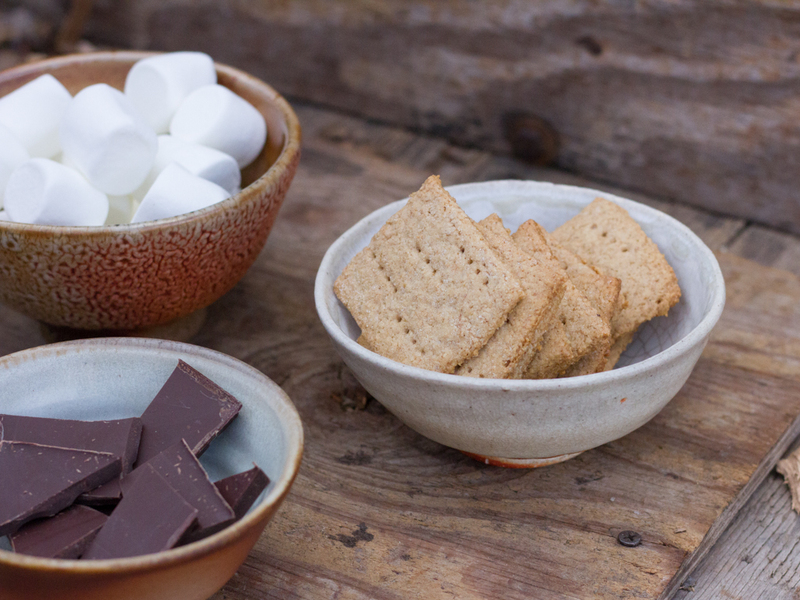 S’more season here, folks, and if you want to go all out, here are two homemade graham cracker recipes — one classic, one vegan/refined sugar-free/peanut butter version — to take this campfire treat to a whole new level! P.S. 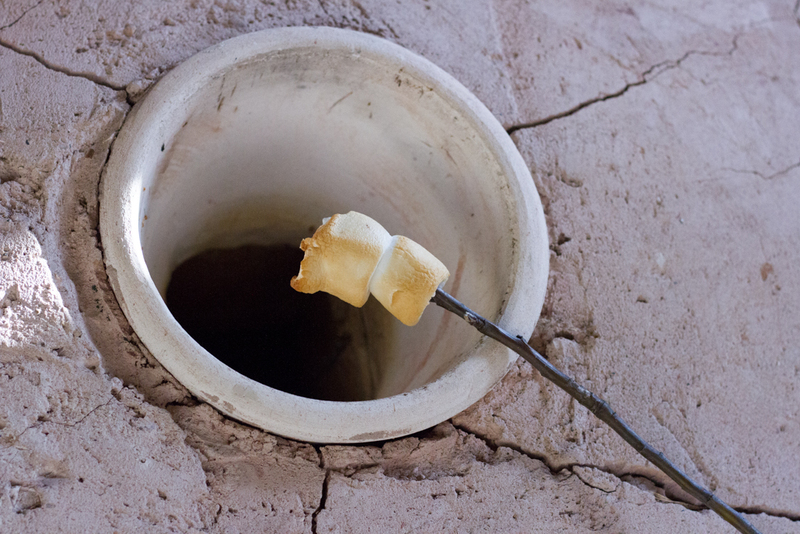 We did test out this recipe during the April kiln firing and roasted marshmallows from the side stoke hole (pictured below). Mix wet (minus milk) and dry separately, then combine. Add milk in the end if needed. 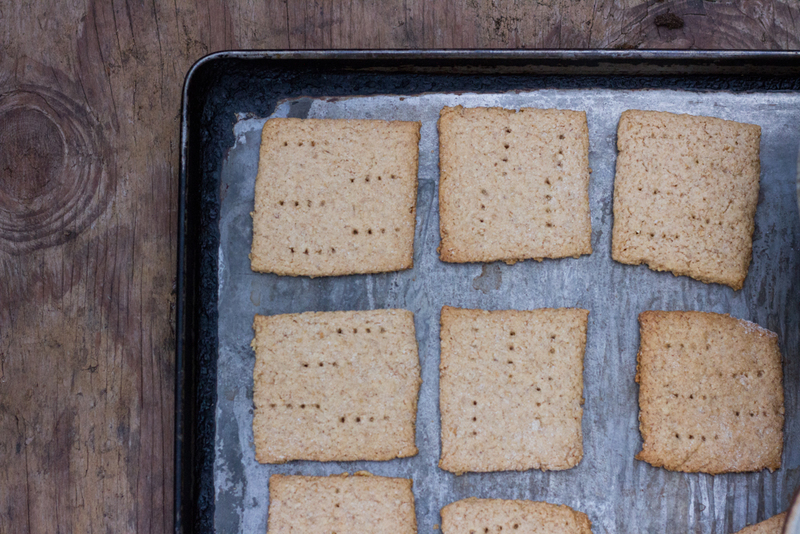 Brush tops with water and sprinkle cinnamon sugar on top if you want. Roll ball of dough out to ¼ in thick and cut cracker squares (eyeball it!) Pierce with fork tines and bake for 15-25 min at 325F. Mix wet (minus water) and dry separately, then combine. Add water in the end if needed. Roll ball of dough out to ¼ in thick and cut cracker squares (eyeball it!) Pierce with fork tines and bake for 10-20 min at 325F. They burn easily so do check often.